leadership with a new mandate to unite local councils and affiliated organizations under the Earth Council Alliance with co-founder Tommy E. Short. In addition, he is currently spending much of his time in China in his role as advisor to government, business and United Nations organizations. He also is a special advisor to the Secretary-General of the United Nations, as well as chairman of the council, University for Peace, affiliated with United Nations. A Canadian and international businessman, Mr. Strong was catapulted onto a world stage in the early 1970s through his work with the United Nations. From November 1970 until December 1972, Mr. Strong was Secretary- General of the United Nations Conference on the Human Environment, the Stockholm conference on sustainability. He subsequently became the first Executive Director of the United Nations Environment Programme. And from 1990 to 1993, he was Secretary-General of the United Nations Conference on Environment and Development – the Earth Summit in Rio de Janeiro – as the focus widened to economic, social, and environmental factors in meeting sustainability goals. Since 1985, he has been an Under-Secretary-General of the United Nations. In 1985 and 1986, he was concurrently Executive Co-Founder, Chairman Emeritus Biography. Coordinator of the United Nations Office for Emergency Operations in Africa and a member of the World Commission on Environment and Development. Earlier in his career Mr. Strong served in investment and senior management positions with corporations in the energy and financial sectors. He was president of the Power Corporation of Canada before leaving in 1966 to head Canada’s External Aid Office, later reorganized as the Canadian International Development Agency. Mr. Strong returned to Canada as president, chairman and CEO of Petro-Canada (1976-78). He served as Chairman of the International Energy Development Corporation from 1980 to 1983 and of the Canada Development Investment Corporation from 1982 to 1984. Mr. Strong holds Honourary Doctorates from 53 universities. The highest award of the National Academy of Sciences of the United States. Mr. Strong was born in Canada and has a principal residence in Ontario. His book – Where On Earth Are We Going – was published in 2002. 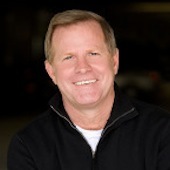 Tommy E. Short is an international entrepreneur and philanthropist whose dedication to environmental concerns from his earliest years has inspired commitments to projects around the world. Mr. Short has played a major role in identifying opportunities and communicating sustainability to the world. Mr. Short is the founder and chairman of the Tommy E. Short Foundation, which is dedicated to exploring human potential and advancing sustainable living, seeking to support children, the arts, and the environment. Based in San Diego, the non-profit foundation actively facilitates a new ethic of giving for the success of other non-profit organizations whose missions align with these goals. In addition to environmental projects, the foundation has endowed the Boys & Girls clubs of Northern Colorado, as well as sponsored school programs called Seeds in Space with NASA and 50 school districts. Mr. Short also founded Fields of Jazz, which celebrates music and sponsors concerts in the spirit of gatherings based on shared values and unity. Earlier in his career, Mr. Short was a successful business owner, restaurateur, and musical promoter with interests in the United States, Europe, and Asia.